Chronological Snobbery: Brian Setzer - The Ultimate Collection? 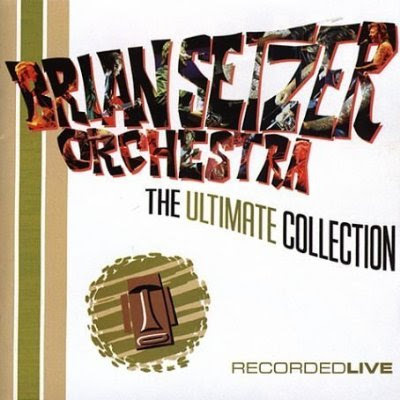 Brian Setzer - The Ultimate Collection? You know, Brian Setzer's actually not so bad, perhaps deserving of an Ultimate Collection if you include his earlier work with the Stray Cats and his later solo songs from the 1990s swing revival. But this Ultimate Collection is "Recorded Live," meaning that the songs arguably worth including on this disc are not the original studio recordings but live versions, presumably recorded years after the fact. (The double disc set includes two shows, one from Japan and one from Montreal). Oh, well. Happy Birthday, Slicing Up Eyeballs. Edie Brickell - The Ultimate Collection? PODCAST! "Lifeforce" (1985) - SimonUK Cinema Series w/ Ryan!